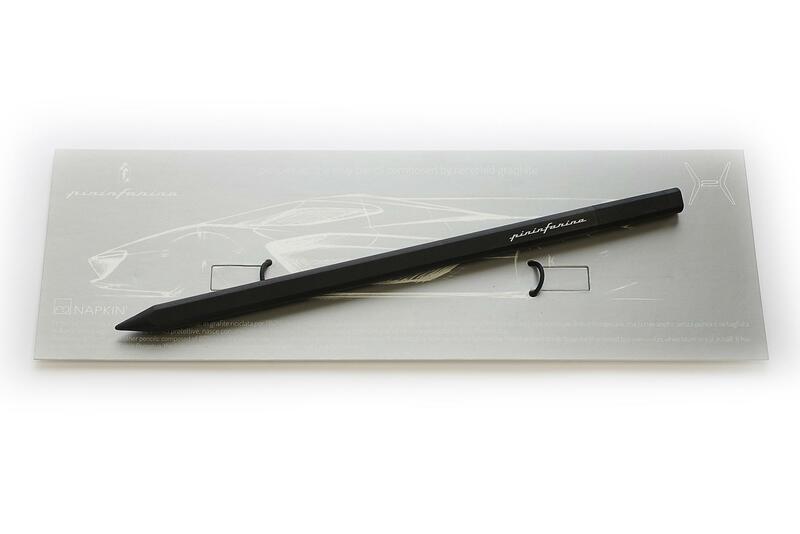 The first pencil realized in recycled graphite, doesn’t break when dropped, doesn’t make hands dirty, non-toxic. 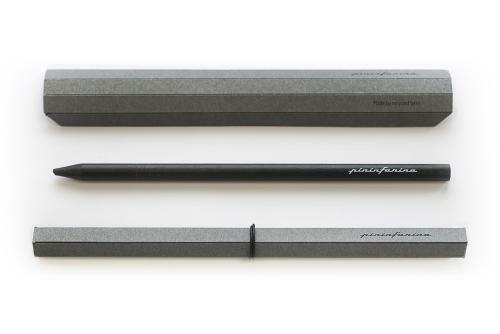 Perpetua is a unique and revolutionary pencil, it’s different from the others because: innovative in the design and technology, realized in recycled graphite, residue of industrial production, Perpetua does not break when dropped, doesn’t make hands dirty, it’s non-toxic. 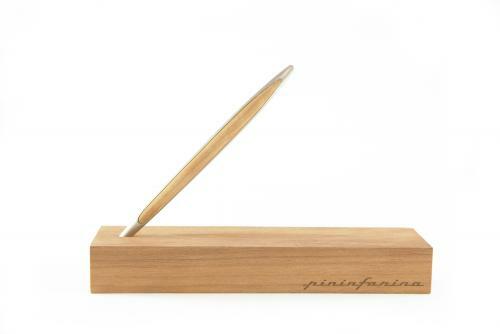 You can sharpen and keeps writing even if broken in two and without a tip. 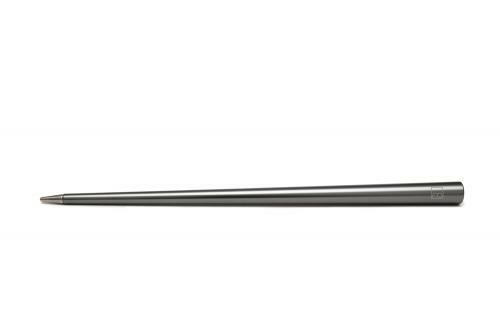 It’s a single body with its rubber. 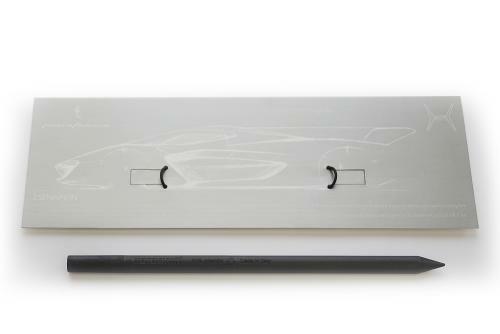 Perpetua is the first pencil in recycled graphite. 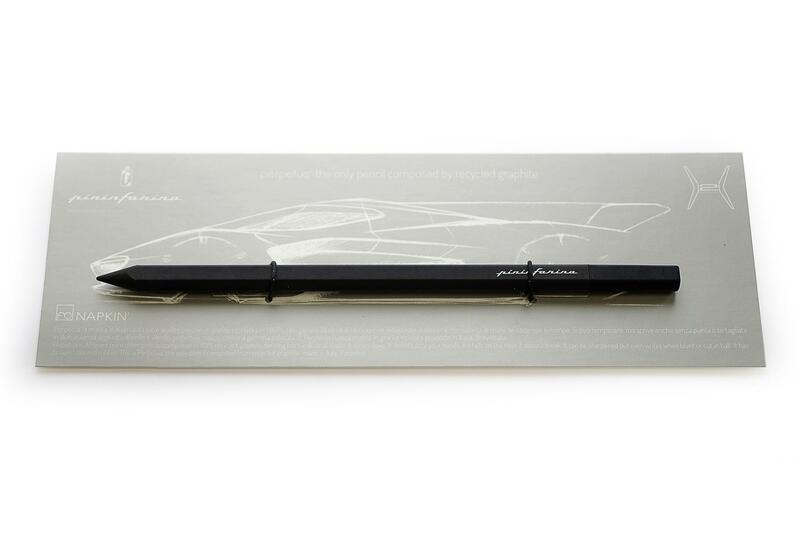 The Perpetua Pininfarina is inspired by the lines of the concept car H2Speed, and it is accompanied by a cardboard featuring the sketch of the car.